JERUSALEM (AP) — A popular Arab rapper released a fiery new song ahead of Tuesday’s Israeli elections, encouraging fellow Arab citizens to push back against their community’s calls for a ballot boycott that appear to be gaining steam. Tamer Nafar, a hip-hop star from the city of Lod, near Tel Aviv, produced the hit “Tamer Must Vote” in hopes of driving up Arab turnout as Israel’s tumultuous campaign draws to a close. The Arabic-language music video, which has racked up hundreds of thousands of views online, features Nafar sparing with his pro-boycott alter ego in a boxing ring. Nafar told The Associated Press that his chorus urges voters to “stop the fascists that have won in Israel” — a forceful response to boycott calls that run deep among Arab citizens who make up 20% of Israel’s population. Last election cycle, Arab factions united into one Joint List, boosting turnout and propelling Arab representatives to a record 13 seats in parliament. But this year’s climate looks stormier. Political infighting split the slate into two factions, embittering some constituents. Many Arab citizens are also alarmed over Netanyahu’s increasingly provocative campaign tactics aimed at shoring up his right-wing base, which they call racist incitement. Polls are predicting dismal voter turnout in the Arab sector. 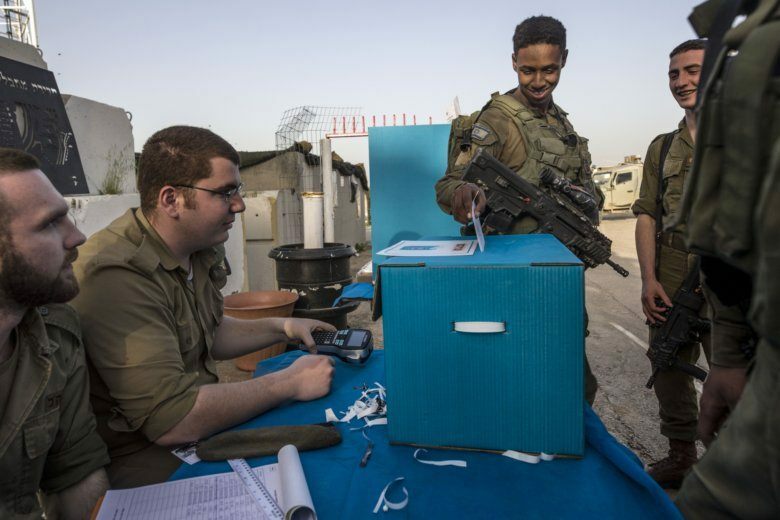 A recent survey from the Abraham Fund Initiatives, an Israeli non-profit dedicated to promoting equality, forecasts nearly half of Arab society electing not to vote. It estimates turnout will drop to 51% from 64% in 2015, “spelling disaster” for Arab political representation. But some hope recent tensions produce the opposite effect, fueling enough frustration to increase turnout. That could push smaller right-wing parties into the margins and even threaten Netanyahu’s long rule.